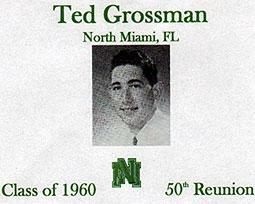 When WLRN’s Ted Grossman, a 1960 graduate of the school, attended his 50-year reunion in 2010, he interviewed other alumni about what it was like growing up in North Miami during that time. Under the Sun’s Trina Sargalski spoke with current North Miami High School students Iyanna Pierre-Louis, Dwinie Teresa Belladent, Anne Noel and Duval Hyppolite. They interviewed each other and other students about what life is like today in North Miami. Julia Longoria helped produce Ted Grossman’s piece. Special thanks goes to North Miami High School Adult Education Principal Jean Coty Ridore, Richemonde Domond, Coach Pierre Louis and the other teachers and administrators of the 21st Century Afterschool Program.